1. 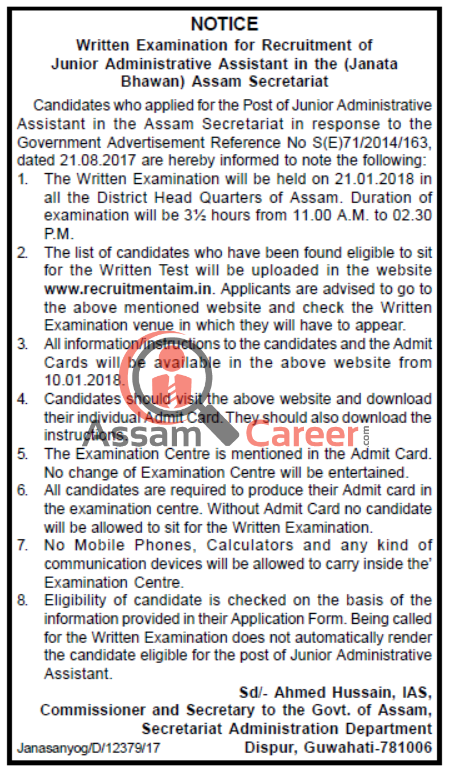 The Written Examination will be held on 21.01.2018 in all the District Head Quarters of Assam. Duration of examination will be 3½ hours from 11.00 A.M. to 02.30 P.M.